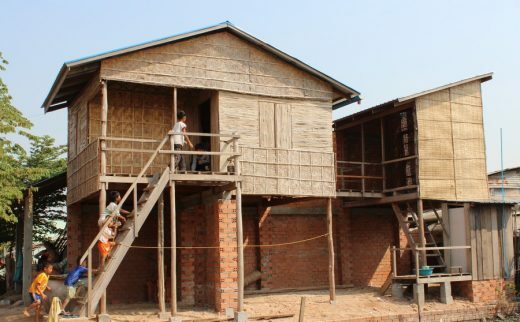 Collaboration between three NGOs results in the construction of housing solutions that bring new life to housing design and delivery for low income families living in Cambodia. 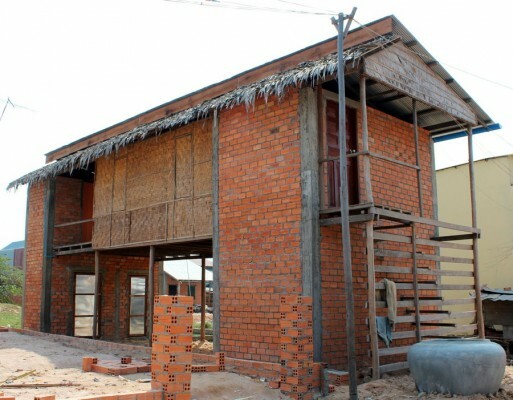 Building Trust International, Habitat for Humanity and Karuna Cambodia have recently completed three sustainable housing designs on the outskirts of Phnom Penh. 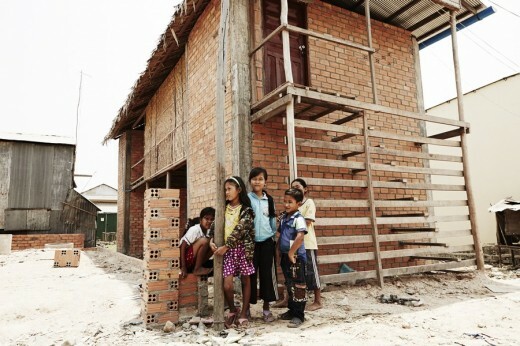 In 2013, three international architecture firms were announced as joint winners in a design competition that sought to provide poor Cambodians with a better standard of living. The competition attracted over 600 registered entrants and a jury made up with representatives from Building Trust International, Habitat for Humanity Cambodia, Karuna Cambodia, MIT, Collective Studio, members of the Cambodian Society of Architects and most importantly the families who now live in their chosen winning house designs. 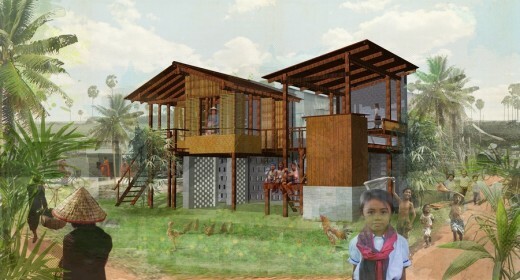 The design competition asked for designs of a $2000 house that could withstand flooding and offer a safe and secure home for low income families in Cambodia. The three housing solutions gave the families the chance to choose a design that related to their specific lifestyle needs. The designs show a leap forward in providing more flexible homes that allow for phased expansion and that can be delivered within the restrictive low budget. When looked at in comparison with other low cost housing options the internal environments of all three houses provide well ventilated spaces that are light and comfortable to live within. 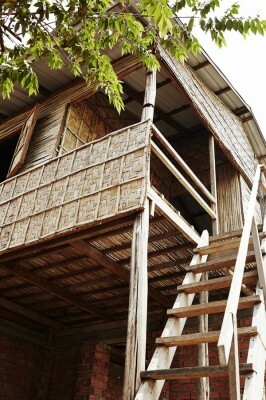 The formal arrangement of spaces both respects traditional Cambodian housing but also highlights potential for future proofing and has created opportunities to try new ideas that have the potential to inform other buildings in the community and the way in which housing is being delivered by housing providers and NGO’s in the region. Now that the winning projects have been realised they show just how much can be achieved with innovative responses to lifestyle and environmental issues. Local skills have been used to great affect and new skills have been shared in the construction process. Community engagement was important throughout the development of the projects from the formation of the competition brief and criteria all the way through the build and ongoing assessment. The three building designs sought to challenge the widespread prevalence of brick, concrete and tin and in their own way each project made a step towards more sustainable materials while also respecting the homeowners wishes for the current status symbol materials. Smart board, timber, bamboo and palm were used in the projects and a planned assessment period held by Building Trust international will record the durability and performance of the materials. 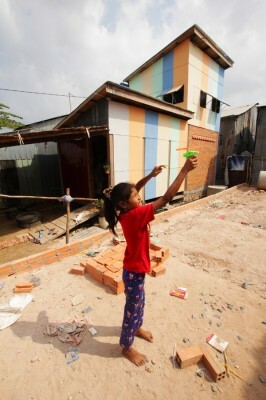 The three houses now make up a kit of house designs that are offered by Habitat for Humanity Cambodia giving a range of choices to perspective families. The finished homes provide show homes which allow for families in need of support to make decisions on design and layout of spaces and be part of the design process at the earliest stage. The houses also provide a resource to illustrate costs of materials and relate information on flood resistance in design from sacrificial parts to more traditional elevated sections. 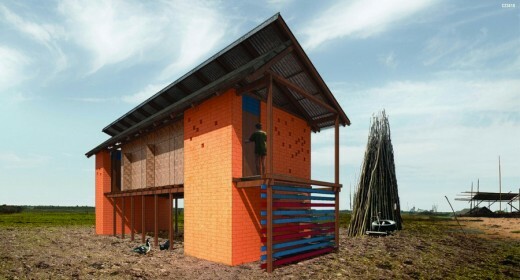 Building Trust International are looking at ways to increase the density of the housing designs and increase the flexibility while reducing the complexity of delivering a wide range of designs for NGO’s and housing providers. 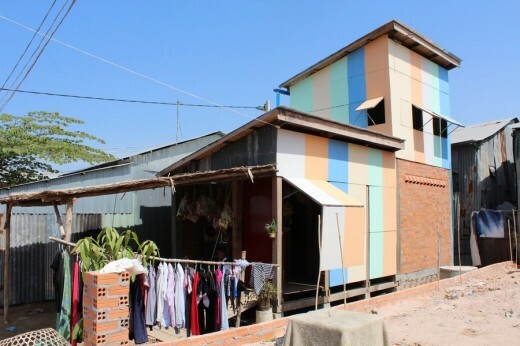 The Future of Sustainable Housing competition has enabled a range of techniques to be tested and for a wider number of community organisations and members to start thinking about the environmental, social and economic impact of housing and rapid urbanisation in Cambodia.